The Salvage Store is a treasure trove for aficionados of Barbican Estate interiors. It contains innumerable doors (hinged, folding, sliding, glass, steel and wood), drawers, cooker knobs, tiles, switches and towel rails. The store’s tireless co-founder Martin recalls once providing all the fittings and fixtures needed for the complete replacement of a kitchen that had been removed. However, some items are very rare. ‘Flying saucer’ cupboard door handles, glass domed bathroom lights and long-tailed cupboard door clips come in very rarely and have waiting lists. The best way to approach the store is with a good list that has all the necessary measurements. Measure up accurately, noting which side handles or hinges are on and any distinguishing features. Perhaps take pictures if it is something unusual. Then email us via the Contact page and arrange to make a visit. Please also read the following information on a few of the issues we have helped with over the years. HOB RINGS Creda stopped making the original hob units a few years ago. They comprised hob ring, spill ring and electrics underneath. We have managed to locate new hob rings that fit the original electrics if the spill ring is removed and modified before being reassembled. The result is a very good match, but the spill ring will look slightly different once modified. There is sometimes a wait, as the spill rings are sent off to be modified in batches to keep costs down. Of course the original electrics will not be covered by any guarantee that comes with the new hob ring. The original installations are likely to contain asbestos which may need removing by a licenced contractor as a separate job before an electrician can replace the hob. The person to contact is Roger Thomas, one of the estate office recommended electricians. You can get his number from them. He will come to your flat and give a free quote for the hob. Any asbestos removal is a separate job and will be expensive. Please note that hob replacement is not a Salvage Store service, and we cannot take responsibility for the actions of third parties. GLASS DOME LIGHTS The beautiful domed lights that are a highlight of the original bathrooms and toilets are very breakable and it can take years for a good one to come into the store. The best replacements we have seen are made by Limberg and are available in the lighting section of the German website Manufactum. www.manufactum.co.uk/limburg-ceiling-light. DOOR HANDLES The most common door handles across the estate are still in production, so finding replacement handles and matching door furniture is relatively easy. 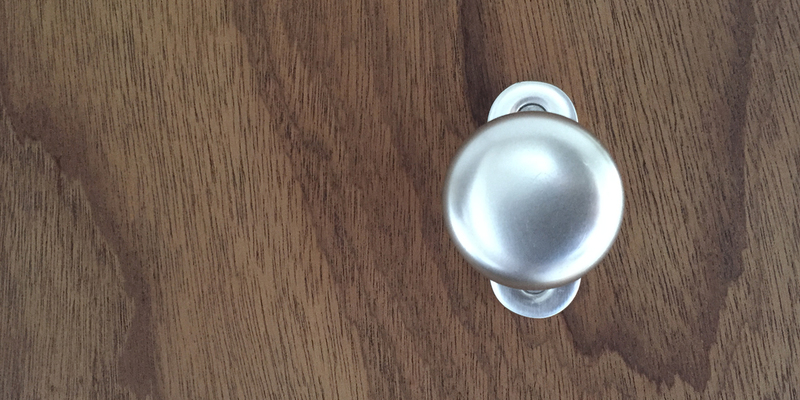 The handle is called Assa Classic Lever 640 in satin chrome finish. The Assa Abloy website has a full door furniture list with all of the details and codes, available in the downloads section. However, a good place to start is on the following page: www.assa.co.uk/en/site/assacouk/products/door-furniture/assa-classic/. In the past we have successfully ordered replacements locally through Poole and Waite on the corner of Goswell Road and Clerkenwell Road. OVEN We have been given the following information about oven parts over the years, but are not sure if it is still current. We should add that ovens may also contain asbestos and professional guidance should be sought before replacing parts. The original ovens were called ‘Creda Plan Vista Oven 43911’. Oven elements (one each side) are Creda part number 6224597, obtained from espares.co.uk. Oven lamp glass Creda part number 6221494, obtained from espares.co.uk. Oven light bulb (this is a bc pigmy bulb – very hard to find as most such bulbs have a screw fitting not a bayonet fitting), obtained from kitchenwareonline.com part number AWCL804. Please note that these links may be out of date by the time you read this.